A Whistle in the Night by Darren J. Butler, Virtual Village Publishing, 2013. $8.99, eBook. Devil in the Hole by Charles Salzberg, Five Star Publishing, 2013. $25.95, hardcover. $3.19, eBook. El Rey del Tiempo: It's Not What You Think by Roger C. Bull, CreateSpace Independent Publishing, 2013. $11.99, paper. $3.99, eBook. John the Revelator by TJ Beitelman, Black Lawrence Publishing, 2013. $16.95, paper. Pale Blue Light by Skip Tucker, NewSouth Books, 2012. $19.96, paper; $7.99, eBook. Sailing to Alluvium by John Pritchard, NewSouth Books, 2013. $27.95, hardcover; $9.99 eBook. Someone Else's Love Story by Joshilyn Jackson, William Morrow, 2013. $26.99, hardcover; $12.29, eBook. That Was Tomorrow by Mary Lois Timbes, Sibley Oak Press, 2013. $9.99, eBook. 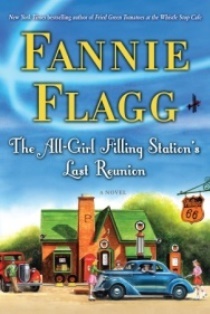 The All-Girl Filling Station's Last Reunion by Fannie Flagg, Random House, 2013. $27.00, hardcover. The Resurrectionist by Matthew Guinn, W. W. Norton & Company, 2013. $25.95, hardcover. $14.95, paper. $9.34, eBook. 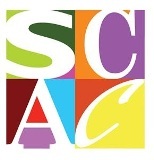 The Salvation of Miss Lucretia by Ted Dunagan, NewSouth Books, 2014. $21.95, hardcover.